Inagural Tin Cup Golf Tournament - THIS EVENT IS SOLD OUT! 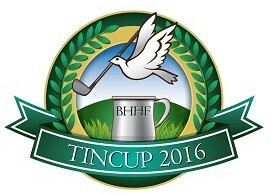 The Inaugural 2016 Tin Cup Tournament benefits the Bright Horizon Hospice Foundation and its programs and services. The tournament will be held at the beautiful Eagle Springs Golf and Country Club in Friant, California on Friday, April 22, 2016. We are expecting a full flight of 144 golfers for a wonderful day of golf. The format will be Four Man Best Ball with strict adherence to the Tin Cup legacy of “Only Using Your 7 iron” (ok, bring your putter too). Eric Patrick, Executive Director, Foundation at (559) 575-5433. Click the donate button below to support our mission.